eg.1 works with clients when they want to secure talent that is going to make a transformational difference to their business. This is delivered through a proven process that combines thorough competitive and market intelligence, with a candidate engagement and selection process that is linked directly to real and potential impact. eg.1 has more than a decade of experience enabling organisations to build game changing capability. We do this through the combined acquisition of people, teams and companies and by leveraging our proven delivery process and strategy enhancing data. Research: to identify the complete target audience of relevant individuals, teams and companies. Interview & Assessment: to understand and assess their experience, expertise, personality and impact. Candidate shortlist presentation: to share our full candidate assessment and recommendations. 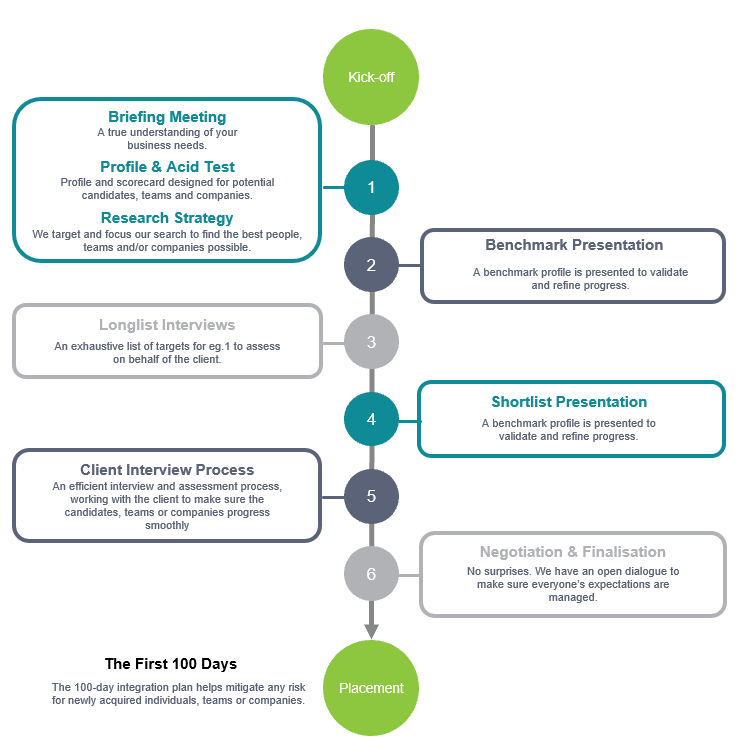 Client Interview Process: ensure candidates are thoroughly analysed against predetermined criteria. Hiring & Onboarding: ensuring transparency on how best to manage, develop and retain the new hire to ensure maximum impact. The GC Index is embedded the eg.1 search Process to provide all candidates, hiring managers and key stakeholders with a common language of impact and contribution to help align all expectations and mitigate any risks in the hiring process. Our client or key stakeholders take The GC Index® profile for themselves. We will provide them with feedback on their profiles and highlight their individual and collective impact and contribution as part of your Pitch/proposal. We also provide the impact profile of our assignment team to ensure we all know how each of us want to best make an impact. We use The GC Index® language and framework to ask our clients what impact and contribution they require the successful candidate to make. It is very efficient to make reference to the individual and team profiles we have already provided to illustrate the impact of the existing team and work with the client to identify how the successful candidate’s impact and contribution will integrate into the team. 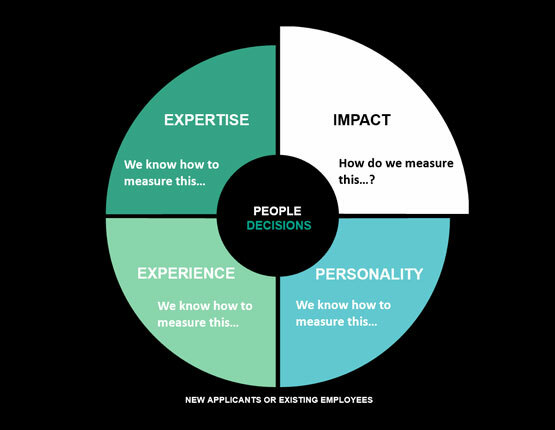 During the interview stage we utilise The GC Index® to test candidates and identify their impact. The GC Index enables us to leverage the resulting profiles to demonstrate the differences in impact and contribution between candidates. We make reference to the team profiles you have already provided to illustrate the positive and negative implications of each candidate’s impact in relation to that of our client’s team. We leverage The GC Index® profiles of the successful candidate and the existing team to support our client in understanding how best to integrate the new hire. Finally, we use The GC Index® to profile the hiring manager (if not already done), using this to offer the client feedback on how to ensure a positive working relationship between the hiring manager and the successful candidate. By leveraging the proven eg.1 search process, powered by The GC Index, our clients are reassured that when engaging with us, they will secure the talent that will make that transformational impact, from day one. Our clients gain knowledge of the importance of impact and contribution in building successful teams. Our clients are able to consider the likely impact and contribution required from candidates in order to ensure a more successful/impactful hire. Our clients are able to design the planned role using The GC Index® as a framework, helping them to ensure that they are able to acquire the appropriate impact and contribution to support their team in delivering their required outcomes. Our clients are equipped to make more qualified decisions as to the type of candidate they require. Our clients are presented with a more nuanced and in depth breakdown of the candidate’s qualities, which demonstrates the variations in impact and contribution between them. Our client is given clarity about the positive and negative implications of each candidate’s impact within the team. Our clients are able to make more robust and informed judgements about the candidates aligned to their desired business outcomes. Our clients are supported in ensuring that the new hire is able to make the maximum impact within their team. Our clients are equipped with the knowledge and insight to ensure the relationship between the hiring manager and the new hire is productive and mutually beneficial. “The GC Index was ‘very helpful’ and ‘provided a different perspective’, which was accretive to the existing Deloitte recruitment process and “giving more confidence regarding the success of the candidate”.